Welcome back to our series Rembert Explains the ’80s. Every so often, we’ll e-mail 25-year-old Rembert Browne a video from the 1980s that he hasn’t seen. Rembert will write down his thoughts as he’s watching the video, then we’ll post those thoughts here. This week’s installment was selected by Grantland reader Matt Barbee: the 1987 Crystal Light National Aerobic Championship. If you have an idea for a future episode of Rembert Explains the ’80s, e-mail us at hollywood@grantland.com. 0:00 “The 1987 Crystal Light National Aerobic Championships” Yes, please. I’m talking about her outfit, not those two dudes behind her, just to clarify. 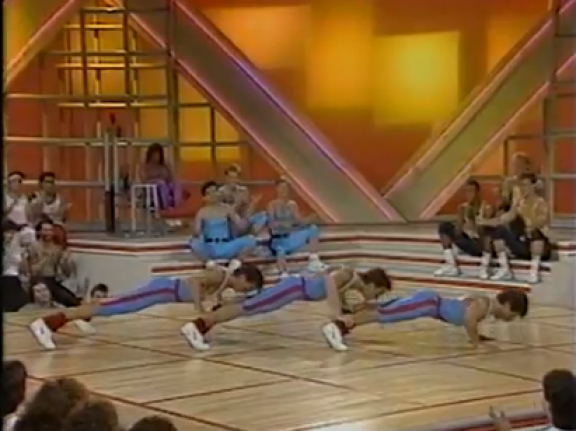 0:04 Oh, so the next up at the aerobics championships are the “Bad Boys.” Again, yes please. 0:06 The audio is slightly off, which is my worst Internet nightmare. 0:11 Can’t tell yet. Unrelated: THE FACT THAT THIS IS HOSTED BY CRYSTAL LIGHT. Why are we talking to these fools? 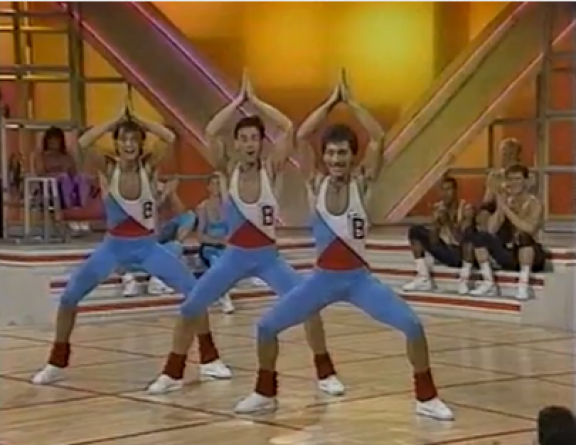 I just want to be inspired by aerobic dance. 0:13 I take back what I just said. Apparently, these guys are his best friends. Sorry for being a horrible person. I just assumed they were your co-workers. I had no idea they were your best friends. 0:17 Dancer 2, I’m trying to listen to you, but I’m distracted by the moves behind you. Sorry. OK, I’ll stick around. I mean, I just want to see if he’s lying or not. 0:25 YES. THE DANCING IS ON BEAT. This gift of dance that I’m being blessed with is perfect. 0:28 Why is this not still a thing? I would do this with two of my best friends in a heartbeat. Well, except for those outfits. No chance you’re catching me in those. I’m more of a teal guy than baby blue. 0:31 What futuristic venue is this being held in? What is this studio audience? Was this on like ESPN on Saturday mornings at 11? You know, the old cheerleading/bass fishing time slot? 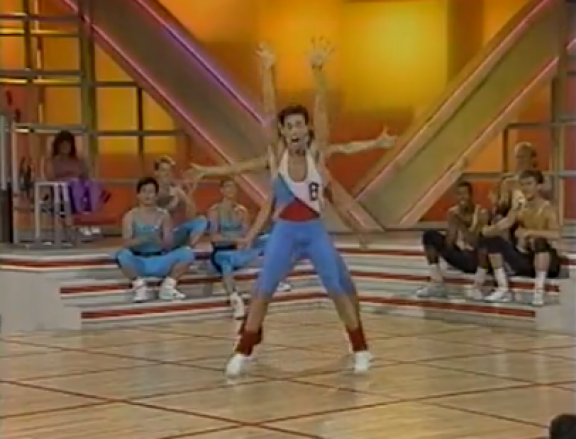 Has aerobics ever been in the Olympics debate? Does it need to be going forth? 0:37 This is incredible. I wonder what kind of parties they throw when they win. I bet they get so sad when they lose. 0:44 I feel like their highs are really high, but their lows probably involve felonies. 0:46 How do I find out if any of my friends’ parents were in the Crystal Light National Aerobic Championships? Is there a listing somewhere, or is it like the Illuminati? 0:51 I just saw someone mess up. This can’t be good. 1:00 OK, just going to name these dance moves for the rest of the time. They’re too good and the majority of people probably aren’t familiar with what they’re called. 1:25 These are just crunches. Classic move in aerobics. 0 for difficulty, 10 for never forgetting where you came from. 1:38 Now they’re just doing Rockettes moves. I think we’ve pushed through the difficult section. 1:41 They were just really close to doing the “Dirty Bird.” I love that about them. 1:44 Wow. I’ve heard of the “MANDUSA” before, but never seen it carried out. If I remember the ’85-’89 Crystal Light rules correctly, a Mandusa is an automatic win. Congrats, guys. 1:52 THEY ENDED WITH A “TRIPLE EGG BEATER” (diagonaled). You just don’t wake up every morning expecting to see a “TRIPLE EGG BEATER.” And then to have it be diagonaled. No words. Wouldn’t you be if you just won a lifetime supply of Crystal Light?